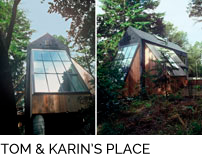 This economically minded retirement house was designed in 1991 but not built until ten years later. 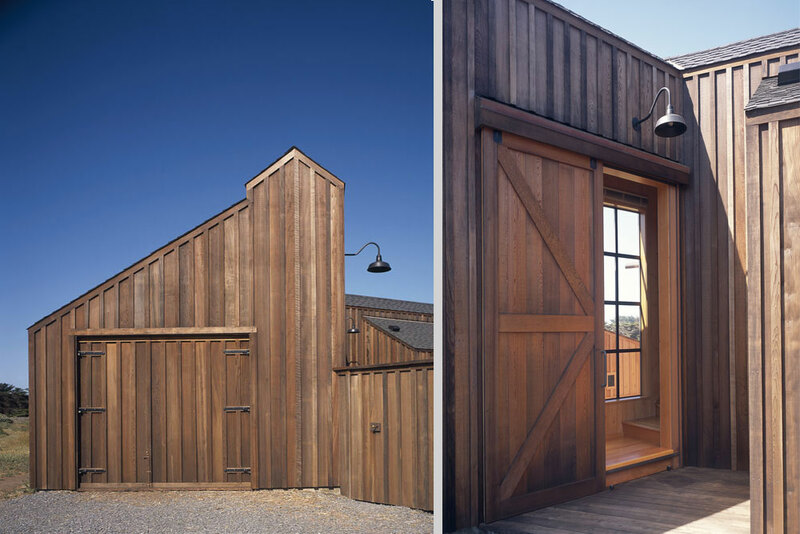 A continuous monitor ties the 804 square foot house and 322 square foot garage together while recalling farmhouse forms of an earlier era. 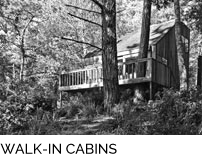 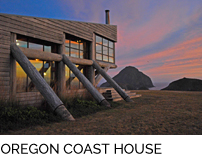 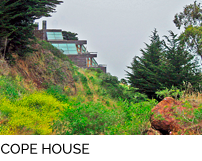 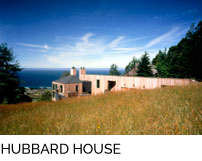 The house is sited to block the prevailing northwest wind from the deck and private spa area. 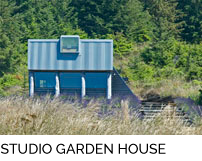 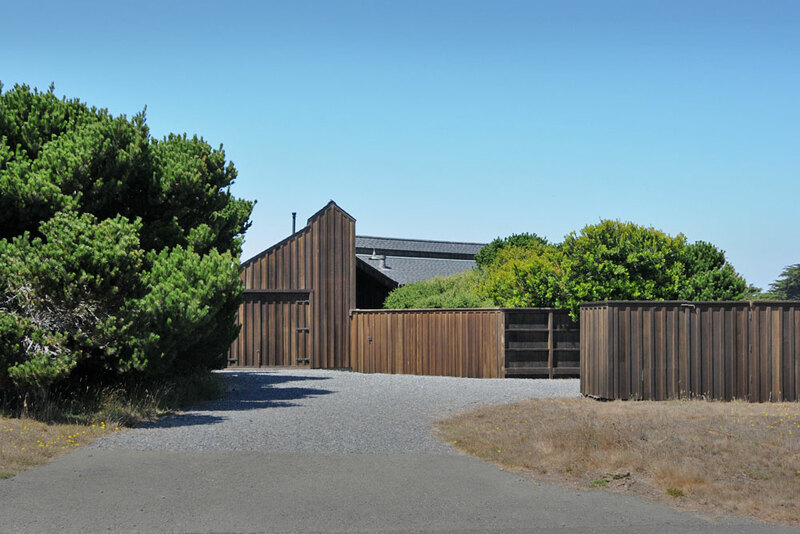 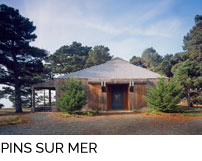 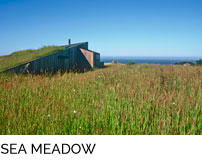 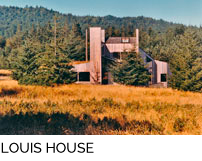 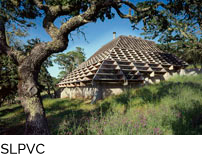 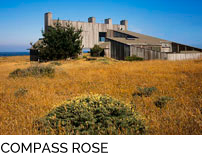 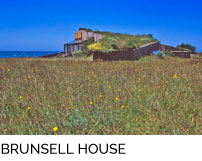 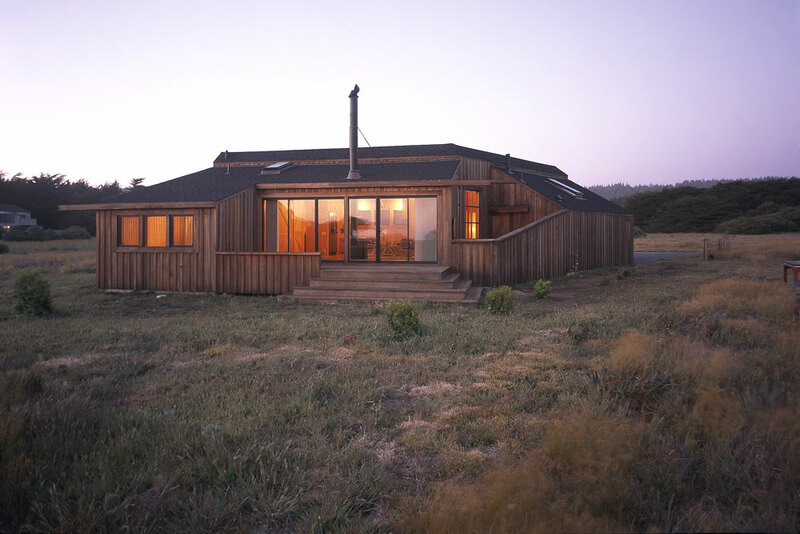 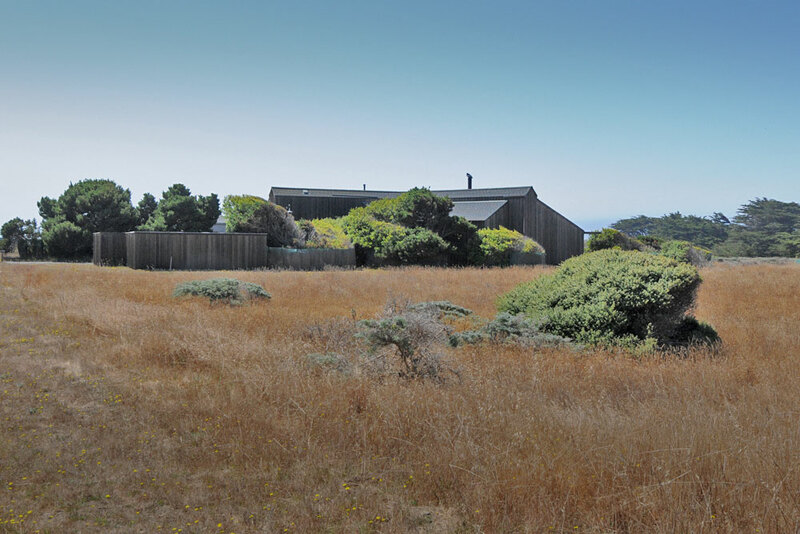 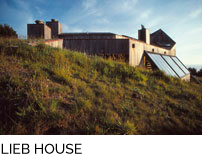 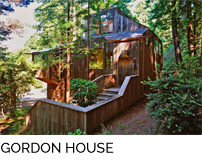 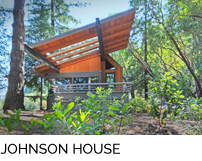 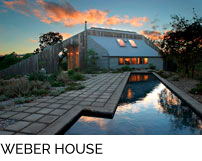 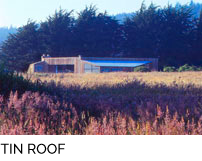 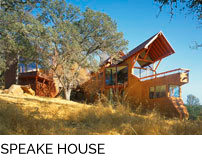 The horizontal lines of the monitor, redwood board and batten siding, and composition shingle roofs help anchor the house to its flat meadow site. 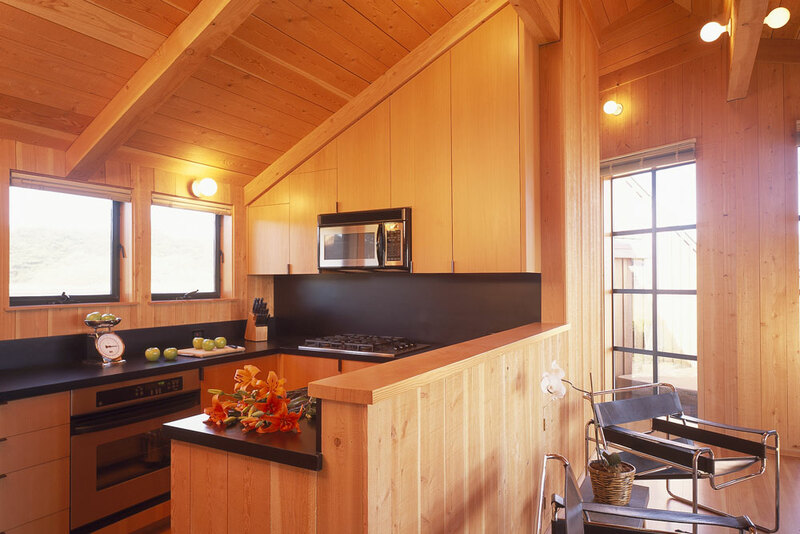 All interior wood surfaces are Douglas fir. 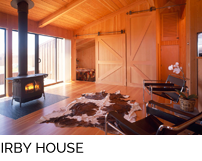 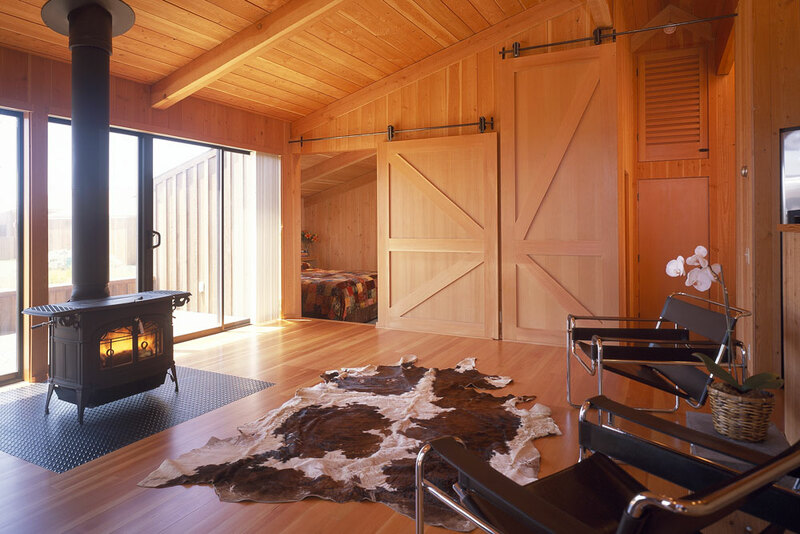 Sliding barn doors are used to close off large openings to the bed and bunkrooms as well as for the entry and spa access doors. 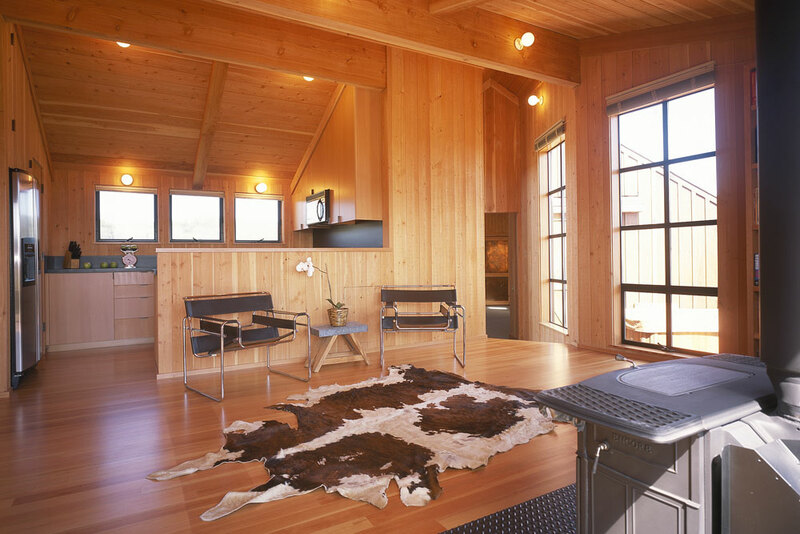 In addition to the simple building forms, economy guided the selection of the metal stove, porcelain sockets with decorator bulbs for interior lighting, plastic laminate countertops, and dark bronze aluminum windows.